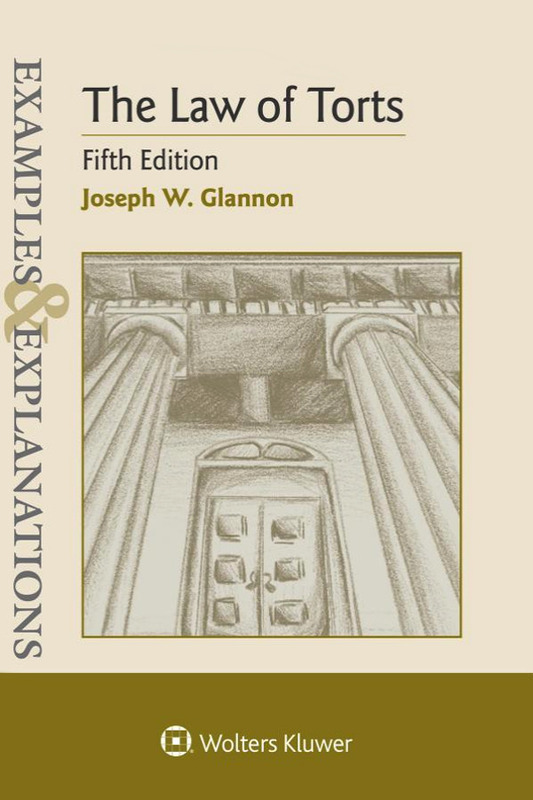 The most commonly recommended supplement for 1L torts class is Glannon’s Guide to Torts. It’s best thought of as a concise version of the E&E and while it will be very useful for exam study, it’s also a great pre-class primer. Glannon is THE MAN when it comes to 1L exam prep, so he also wrote the E&E for torts. As such, getting both of these might be a little redundant. Also, let’s face it, the E&E is often too long to work through all the way when it comes down to crunch time. I had 3 other exams to study for at the same time I was prepping for torts, and this was the best manageable option according to all the upper-level students I talked to. It worked great for me: torts was my best grade 1L year at UChicago. I could tell you what the grade was, but it would be meaningless since we have such a strange grading system. If you can find the time, E&E’s are always great exam prep. They talk you through hypotheticals in a clear, conversational manner similar to how you should write your exam answers. Even if you don’t use the whole thing, it can be invaluable for reviewing an area that you think you haven’t mastered yet. I’m normally not the biggest fan of law outlines because I feel like they make things too simple, which partially erases my memory of the more nuanced understanding I got in class. However, torts class has so many little cases and it’s tough to keep track of everything. 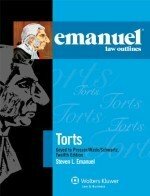 If you find yourself behind on study at all, the Torts Emanuel Law Outline can be a great way to refresh your memory quickly. This is the gunner option for those of you planning on getting the model answer. 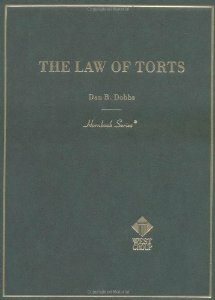 It’s written by my own torts professor and is commonly used by other professors who are just learning how to teach Torts. Levmore’s take on torts is novel: he claims not to believe in the concepts of duty or fairness and finds other ways to predict case outcomes. You will definitely have a deeper understanding of torts after reading this stuff. Just make sure it doesn’t totally upset your own professor’s viewpoint before you include anything from it on the exam. Levmore’s writing is just awesome and worth emulating for its clarity and incisiveness. It might be good to read a little of this just to tone up your brain before the exam. I guarantee the reserve room at your library has this for a 2-hour loan, but if you don’t want to fight other students for it the amazon link is above. I consulted it a few times and it is tantamount to getting your class lecture all over again. For those new to law school exams, this is a hornbook, meaning it is an in-depth explanation of the whole area of the law. It’s not light reading, and it’s not the kind of thing you can read the night before the exam. They are great to consult if you don’t understand something as well as you’d like to and you are on call the next day. Next Article What is a Good LSAT Score For Top Law Schools? How necessary is it to have the newest editions of supplements? How much does the material actually change? Obviously the price differences are substantial and I can only get the newest editions on reserve at the library, so was wondering if the older edition would be the smarter buy?